we're very disappointed with the housekeeper during our stay: she's very impolite to my mother, she complained us at front door of the room while we're cooking and make floor wet. The hotel was clean, cheap and in the middle of the city. Absolutely recommendable for some day! Great location but unfortunate really dirty, ants everywhere and a really funky chemical smell coming from... I couldn't work it out, either the drain or the air conditioning unit. The wifi didn't work in our room and the apartment kitchen came with nothing! Only two pans but no plates, cooking utensils, cutlery, cups, knives, nothing. So no point in paying for a kitchen then. The shower head faces the wall instead of down so that was a bit of a challenge. The staff where nice and the location was perfect but they still have some work to do. 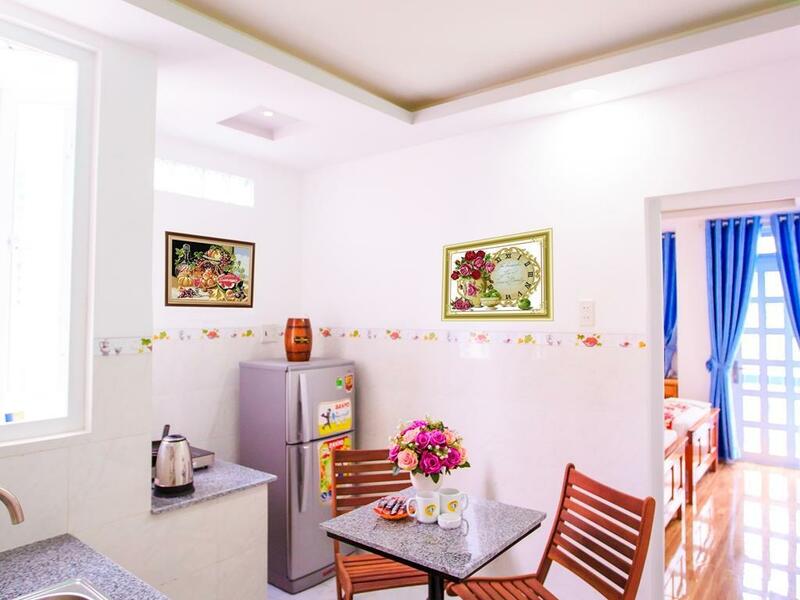 Super friendly, great location, modern, clean room albeit with small windows. 2 blocks to beach. Strangely quiet given the location. 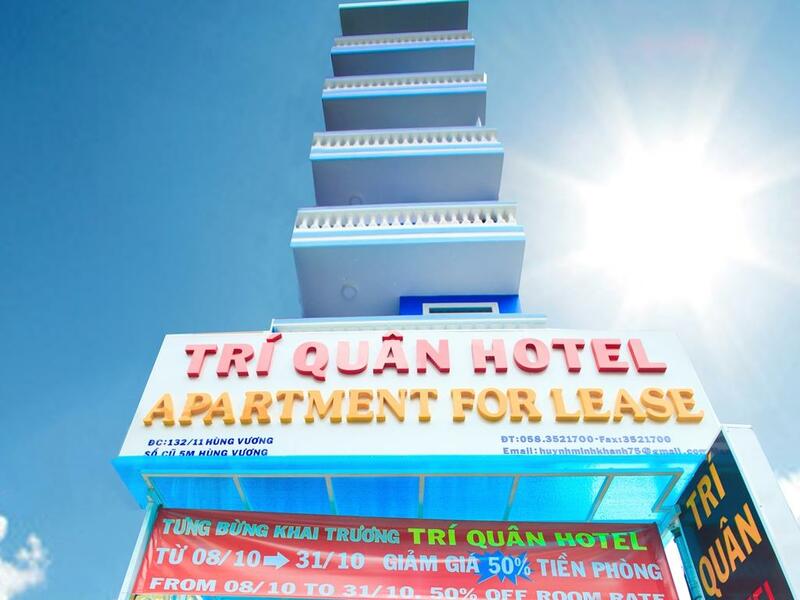 We enjoyed our stay at Tri Quan Hotel. Staff are very helpful and accomodating. Standard room is large with a nice balcony. Wifi and aircon work well however rooms are only cleaned every 2-3 days. My only complaint is the shower placement (one of those showers that is open in the bathroom, it was located in the middle of the bathroom in between the toilet and the basin so the entire bathroom would get wet inc toilet paper). 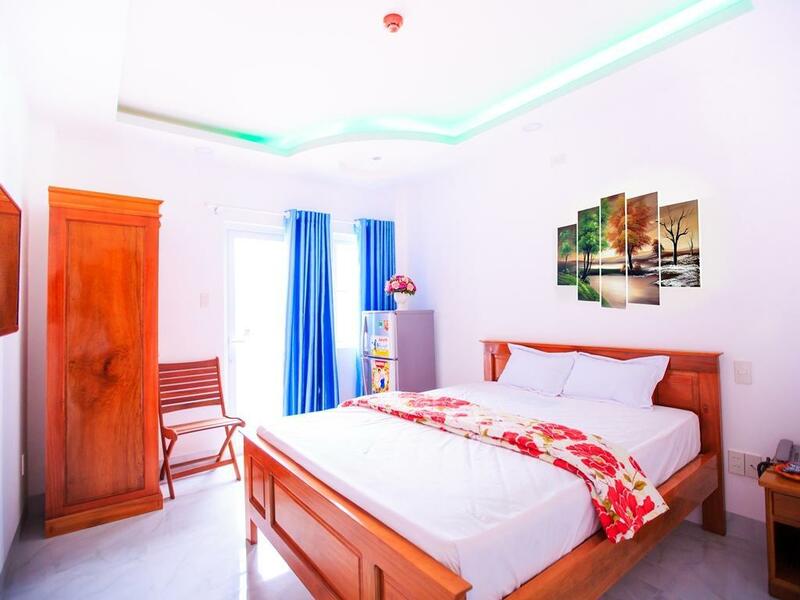 Located close to many shops and restaurants and only 5 mins from the beach. Coffee provided with kettle and mug. No breakfast but some nice places nearby which are very cheap anyway. Overall, this little hotel is great value for money (we paid approx $25AUD a night). I would return, thanks for a lovely stay in Nha Trang! The apartment was spacious but the floor was very dirty as well as the kitchen. Good location. On top of what I wrote previously, they don't supply soap. Bring your own. Housekeeping done every second day. Very good location. Quiet hotel. Friendly staff, especially Trinh at reception. Comforable bed. Big fridge (ON even without the key). Kettle in the room. Nice terrace on the roof with cooking facilities. Good and inexpensive restaurants around the hotel. Everything was perfect for the money. The staff was great. The location was perfect. The facilities were beyond what we expected. We rented a motor bike for just around $5. Just make sure not to search for the hotel in google maps as the given location is wrong. Search for golden sand hotel or CR hotel. It is right next to these hotels. For that money you cannot ask for better. Very modern facilities. I would recommend it to anyone looking for a budget hotel.